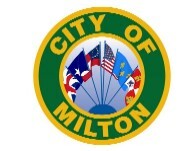 The Milton City Council approved signage to be erected at Russell Harber Landing stating it is illegal to release cats into the wild, punishable by a fine up to $5,000, and may include imprisonment, according to Florida Statute. City staff were instructed to look into further steps such as possibly adopting a catch, neuter and release program. Marti Owens, veterinarian and co-owner of the Santa Rosa Veterinary Clinic sent a letter to Public Works Director George Rials indicating the problem after finding 12 to 14 abandoned or feral cats; she then fed and neutered them. She asked the city to place a sign at the park notifying the public of the fine for abandoning animals. "My fear is that someone else will dump intact cats at the park and that there will be an endless cycle of reproduction," she wrote.